Diamond Details: Round brilliant cut white diamonds, of G-H color, SI1 clarity and excellent cut and brilliance weighing 1.21 carats total with round cut fancy yellow diamonds, weighing .25 carat total. 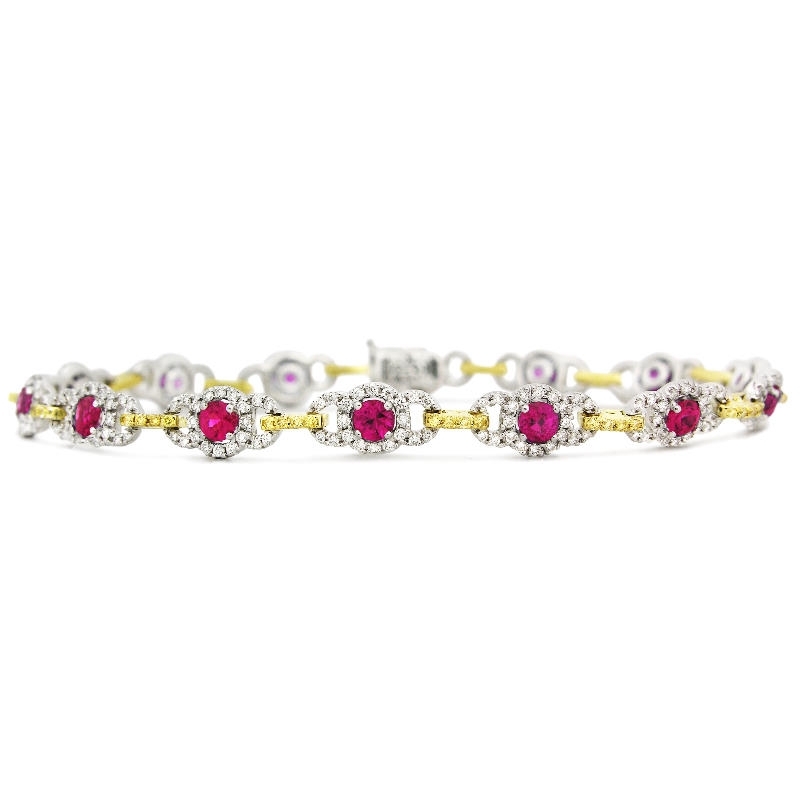 Gemstone Details: Round cut rubies, of exquisite color, weighing 2.37 carats total. Bracelet Details: Simon G 18k white and yellow gold design. Measurements: 7.5 Inches in length and 6mm at the widest point. 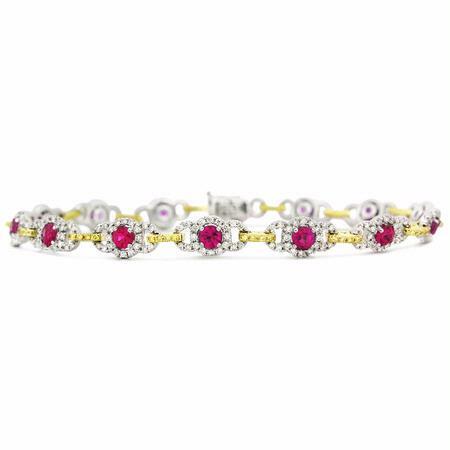 This elegant Simon G 18k two-tone gold bracelet, contains round cut rubies, of exquisite color, weighing 2.37 carats total with round brilliant cut white diamonds of G-H color SI clarity, weighing 1.21 carats total, and round cut fancy yellow diamonds, weighing .25 carat total. This bracelet measures 7.5 inches in length and 6mm at the widest point. Any piece in Simon G's collection can be special ordered. Please allow 3-4 weeks for delivery. Please call for pricing 1-800-790-6980 or 1-212-302-2863.